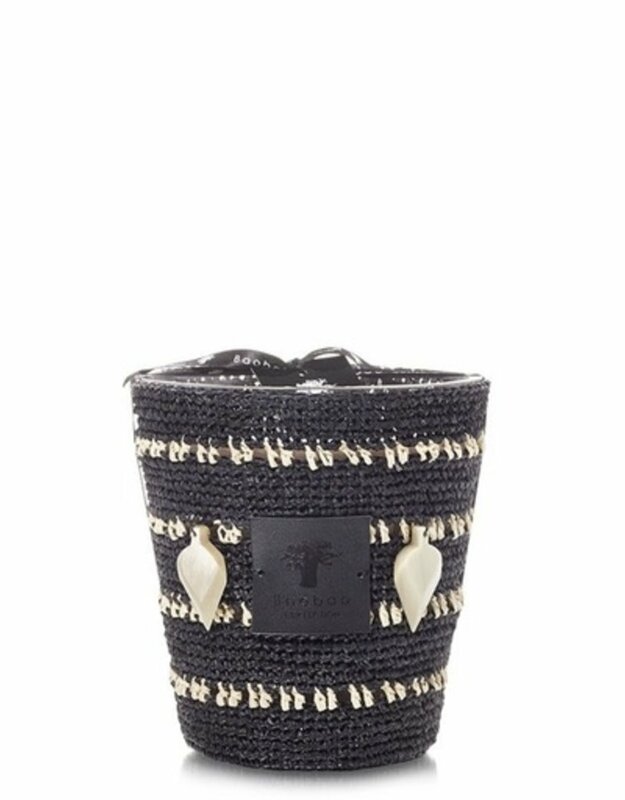 The Tsiva scented candle is covered in black raffia with natural raffia insertions, a graphic reiteration of the collection’s seed motif. It proudly sports the brand’s signature color combinations, with its black and beige look. 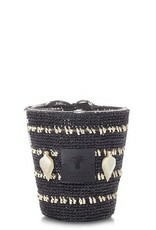 The Tsiva candle is made by female artisans of Madagascar, known for their ancestral hand-crocheted raffia technique. On it are two small spears sculpted in natural horn, similar to the spears traditionally used by the Mikea hunters. 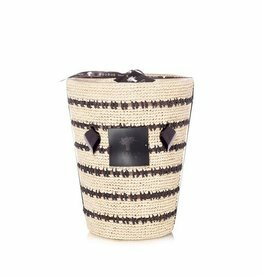 To light the Tsiva candle is to enter its charming and mysterious atmosphere, entranced by the light of a flame that shines through its loose raffia structure. The Tsiva candle’s fragrance is both masculine and tribal. 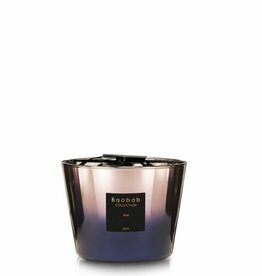 Its woody scent with notes of eucalyptus reference the soft smell of the Malagasy forest and its precious wood.